This case study was developed as part of a three month onsite engagement with a Middle East Oil Company, with the objective of streamlining their upstream information management processes. 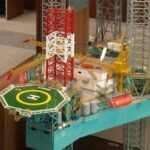 The challenge was in aggregating drilling data from a group of fully owned operating companies, partners and stakeholders using disparate data stores and systems, and delivering it to a newly formed Technical Excellence group with an executive level mandate to play a larger role in active asset management. APO personnel onsite worked with drilling engineers and managers to adopt and adapt industry best practices for data governance and quality control to the real-time drilling data being collected in the field. 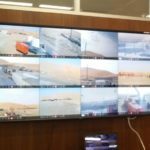 Data from rigs is transmitted in real time using WITSML (Wellsite Information Transfer Standard Markup Language) and is constantly monitored at the National Oil Company with a target to reduce the drilling duration of wells by 10% each year, and to reduce overall NPT (Non Productive Time) on a per-rig basis. The in-place system requires interoperability and cooperation between several companies and services and agreement on data governance and quality control in order to deliver actionable data. The data including LWD, MWD and Surface data are collected on the rig, aggregated, quality checked and synchronized and then transferred to the NDC (National Drilling Company) where they are accessed by a service company. 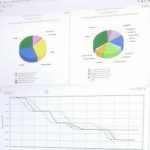 Relevant data are extracted from the DDR (Daily Drilling Report) within an engineer’s data model, these data are sent and combined with the wellsite data. Using data analysis software, the results are matched against NPT in the DDR and the non-reported NPT checked for deviations. 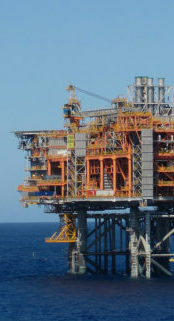 All NPT codes have been standardized (between onshore and offshore operations) and agreed by the operating companies and documented in the National Drilling Code of Practice. The final results including drilling performance against plan and real time video of rig operations are then ready for delivery to an intelligent subsurface centre for visualization and action. The system was first developed for solely operated and risked gas wells, but is being expanded to include all drilling operations in the country. As part of the study, APO data management practitioners recommended a data governance structure with business data focal points in each of the OPCO’s, the criteria and operating requirements for a System of Record for the final drilling data, and the standardization of naming conventions to ensure data was associated with the correct borehole and for reporting of drilling events such as Rig Release Date. 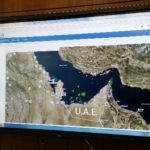 These recommendations were made to align with a future plan to utilize a business intelligence platform for integration and interoperability with other data initiatives in the National Oil Company such as Category Management and optimized supply chains for Oil Country Tubular Goods to service the rigs.